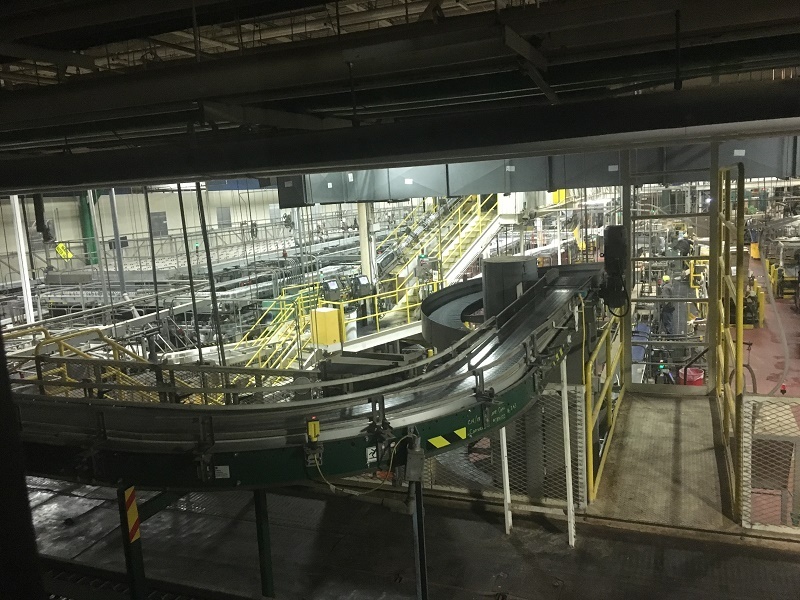 I had planned to talk about some winner circle hats this week, but we’re going to put those on the back burner for a bit. 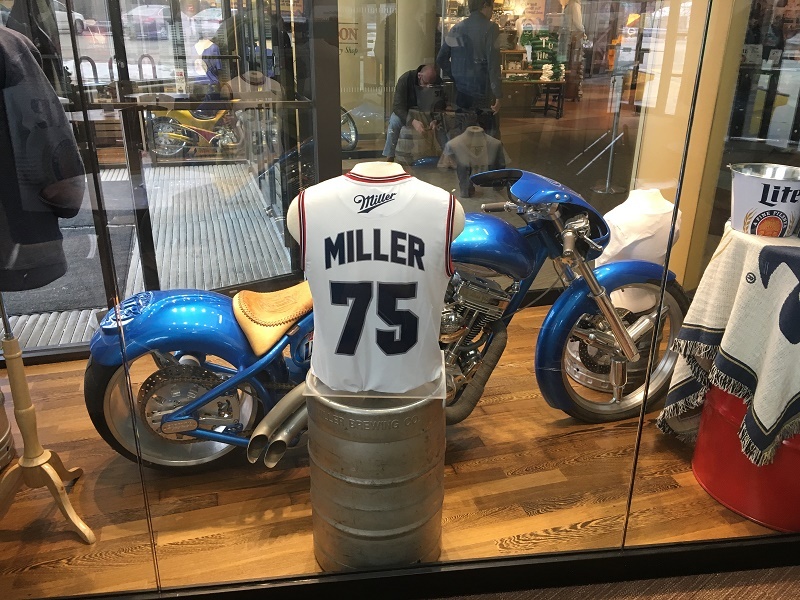 My cousin and I had the opportunity last week to go to the Miller Brewing Company and take their brewery tour, so I did. 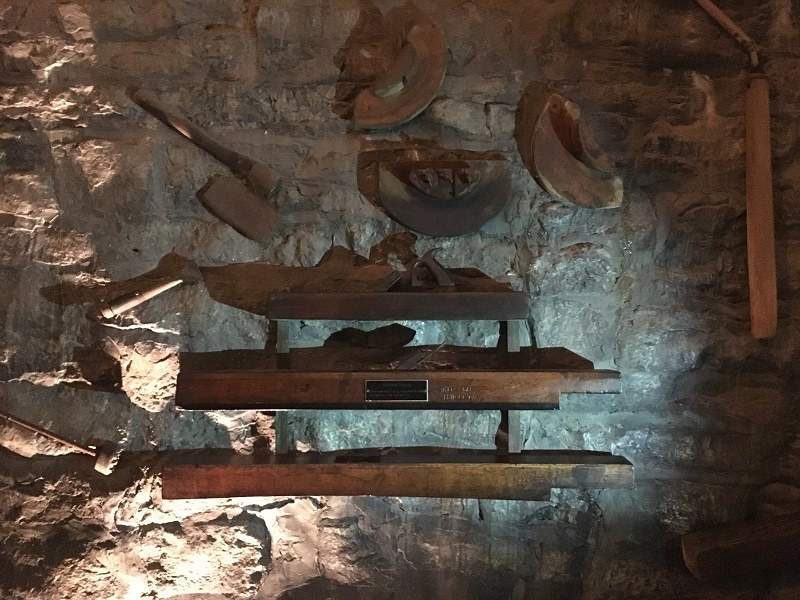 I hadn’t planned on really traveling this year, but when the opportunity arose, I took it. 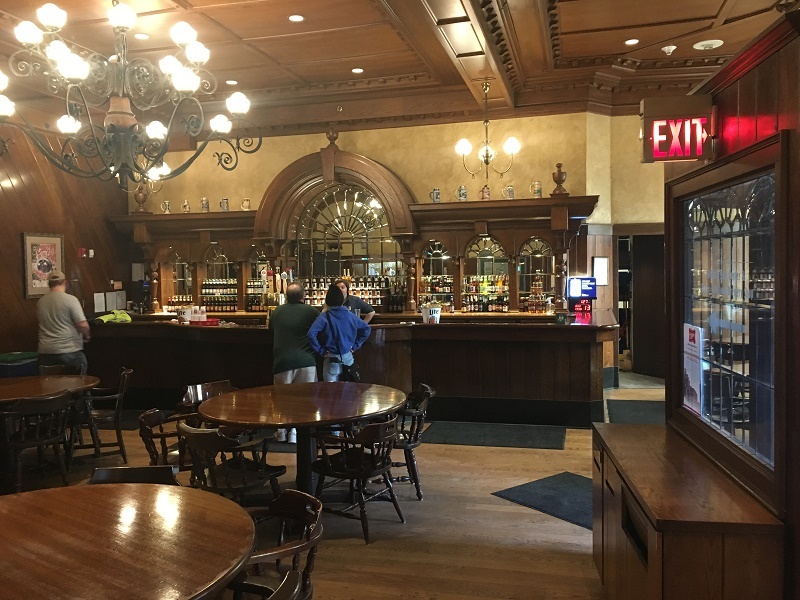 The drive from Chicago to Milwaukee is not a difficult one, and it gave us a chance to hang out. Once there, we found the visitor center, albeit with a lot of difficulty, as the signage there can be pointlessly confusing at times. 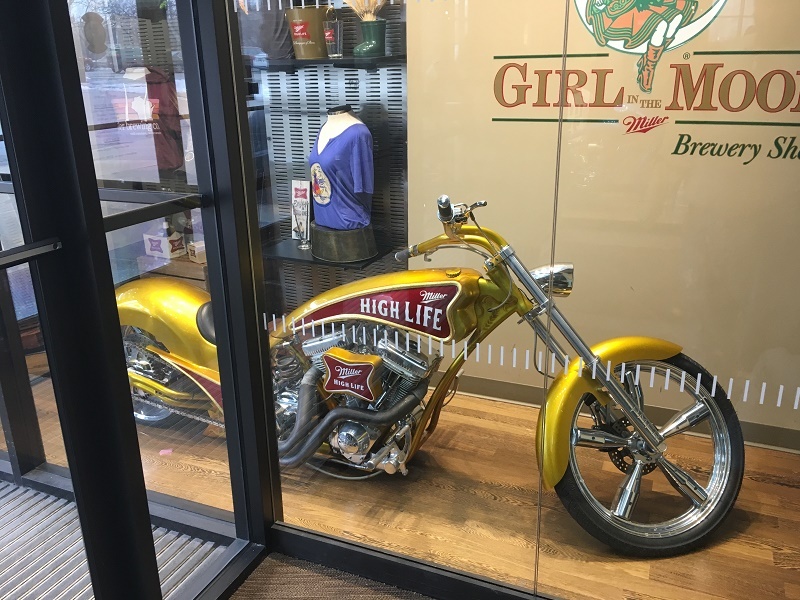 The cost is $10, and for that, you get a 1 hour tour, four samples of beer, and a souvenir pint glass. 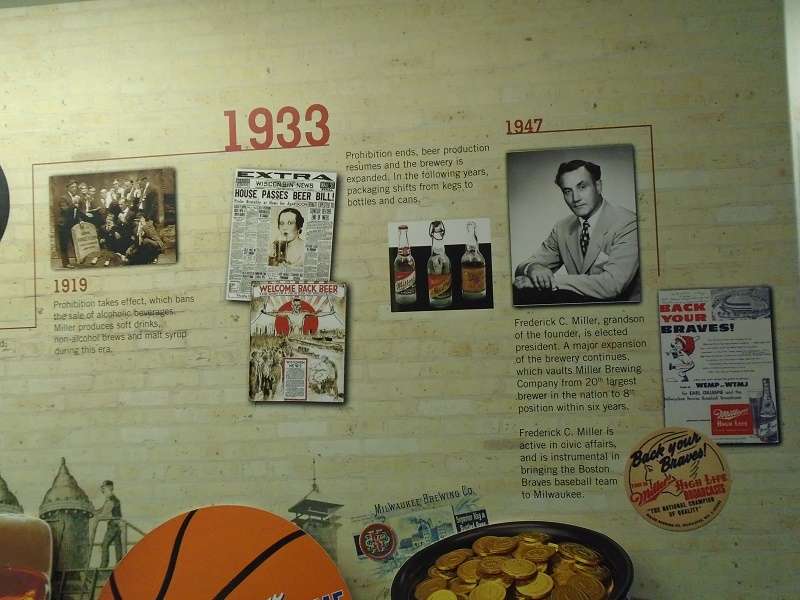 Aside from Miller, Milwaukee has a great deal of beer history. 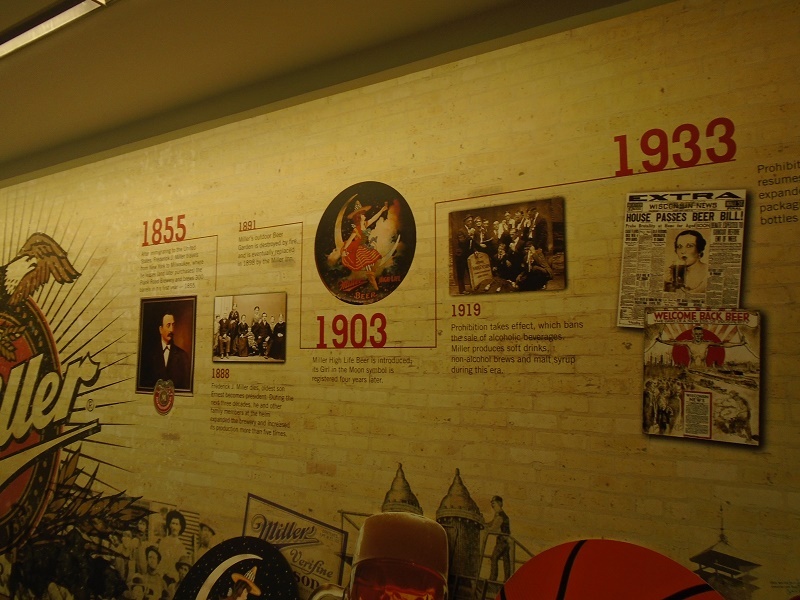 Brands such as Schlitz, Pabst, Blatz, and Milwaukee’s Best can all trace their history back to 1800’s Milwaukee. 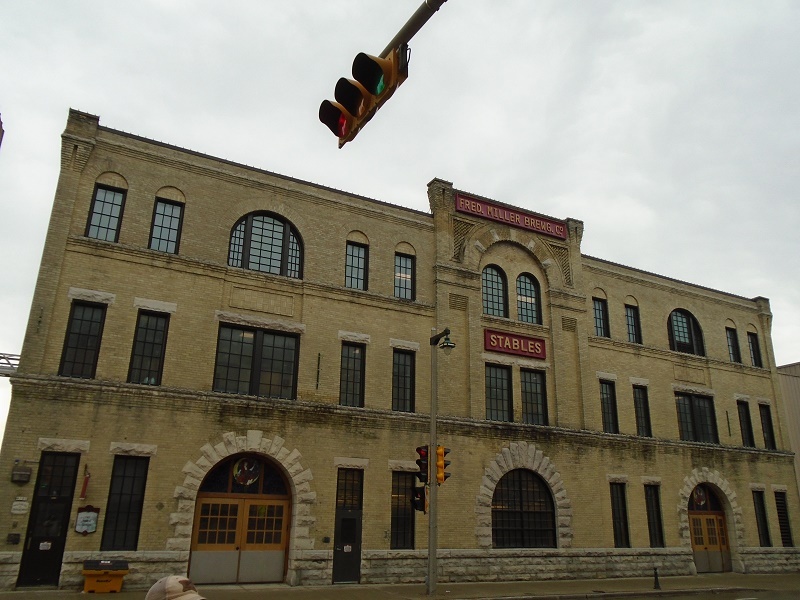 Milwaukee’s proximity to Chicago is a major factor in the success of the breweries. 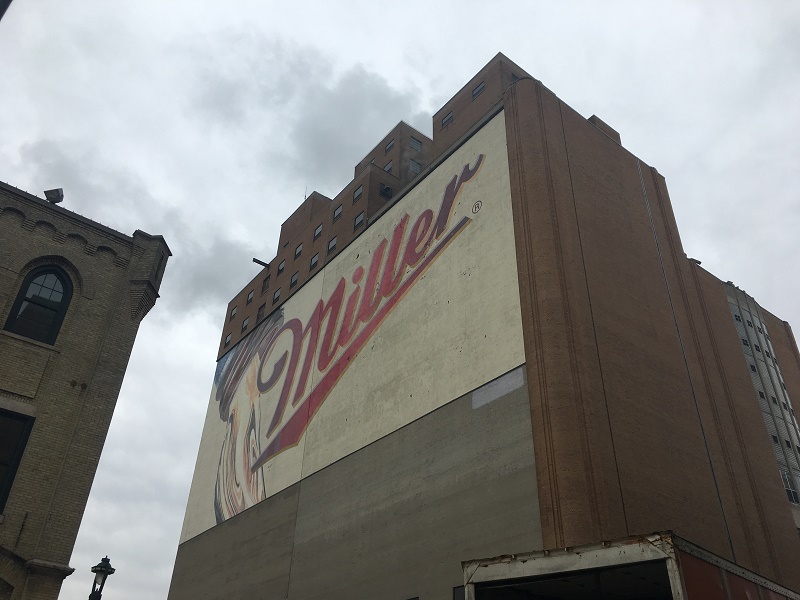 Beer is so attached to Milwaukee, that their baseball team is named the Brewers. 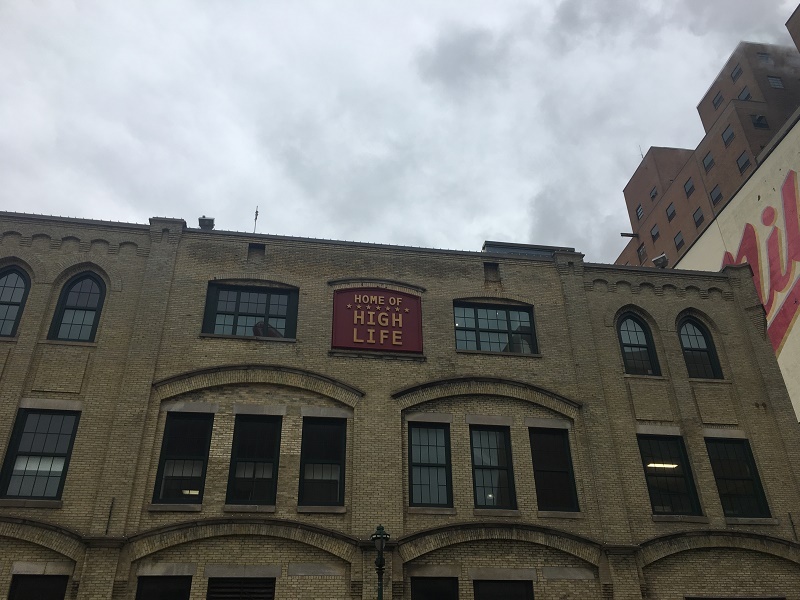 There are also some well-known craft breweries in Milwaukee, including Sprecher Brewing, Lakefront Brewing, and Milwaukee Brewing. 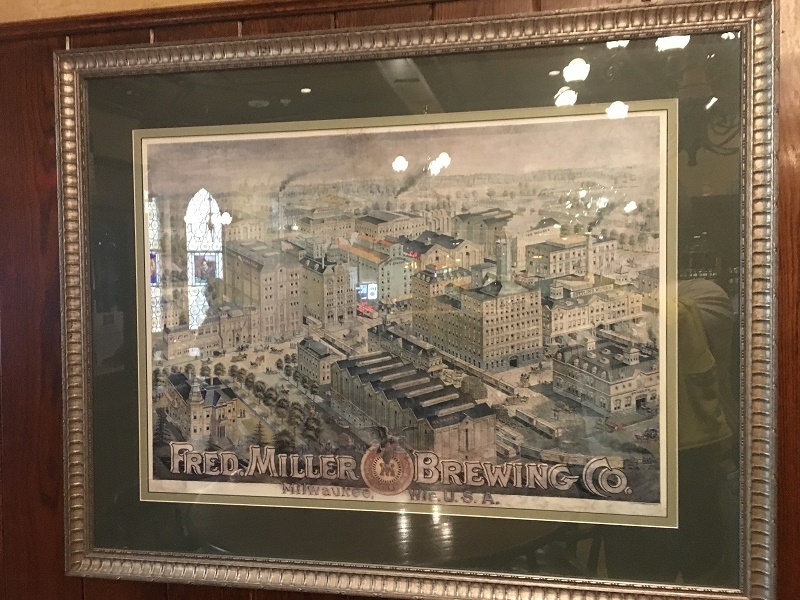 The brewery was founded in 1855 by Frederick Miller. 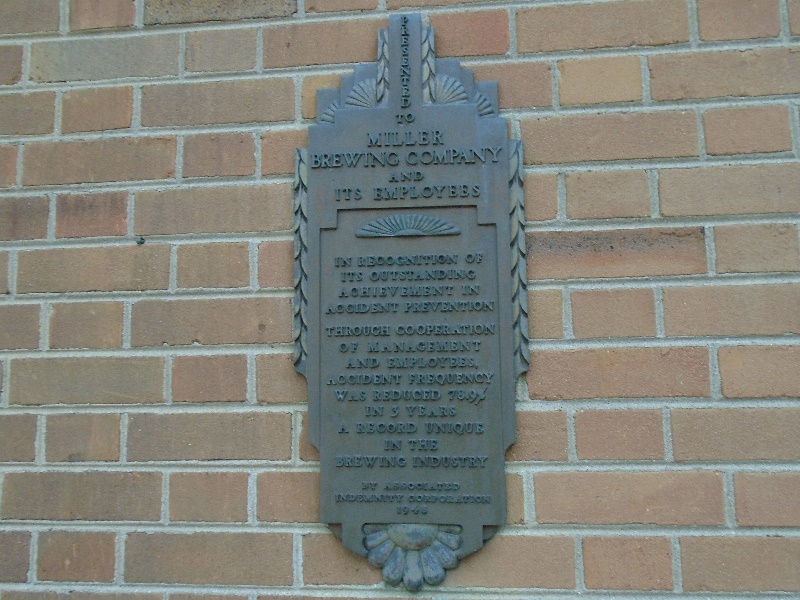 Miller was a German brewer who moved to Milwaukee with the lessons of German brewing, and a special strand of brewer’s yeast. 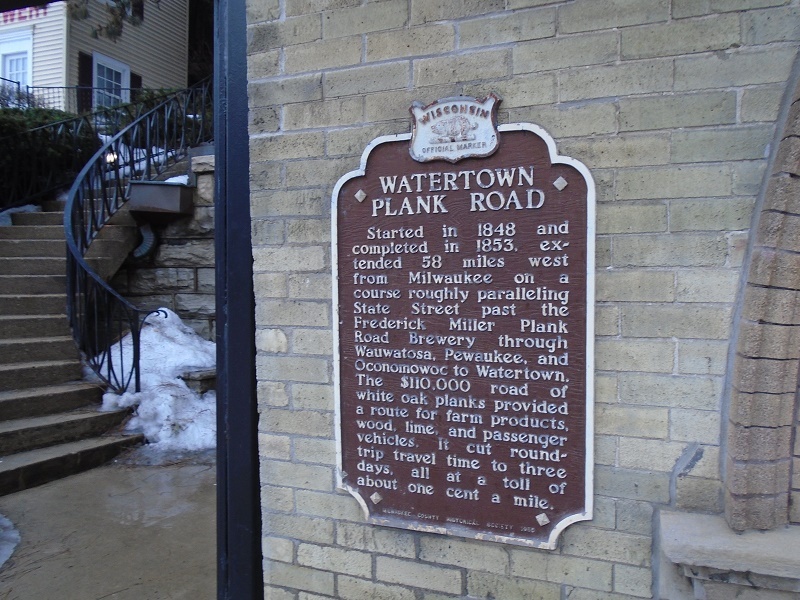 He moved in to the Plank Road Brewery on Watertown Plank Road, and began producing beer in what is now known as “Miller Valley.” The business was a family one until 1966, when the family sold it to W. R. Grace and Company. 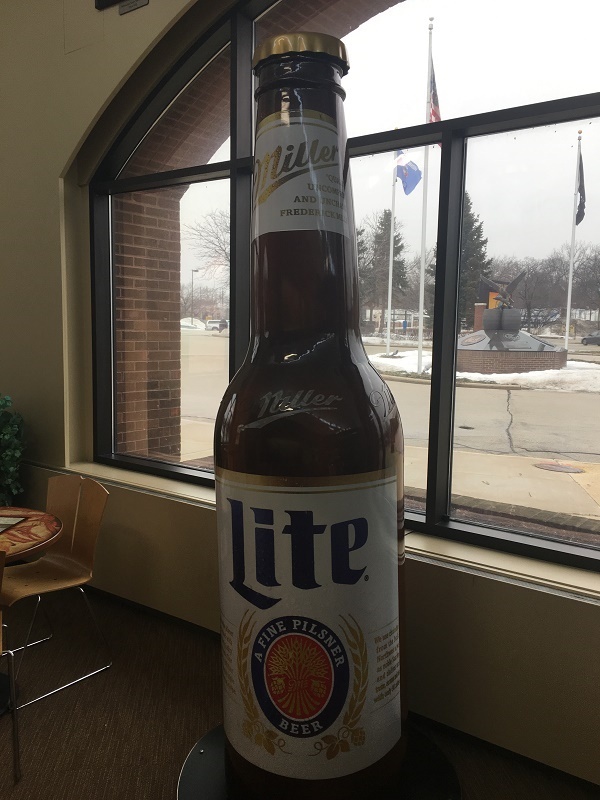 One acquisition after another led to MillerCoors, which runs the business today. 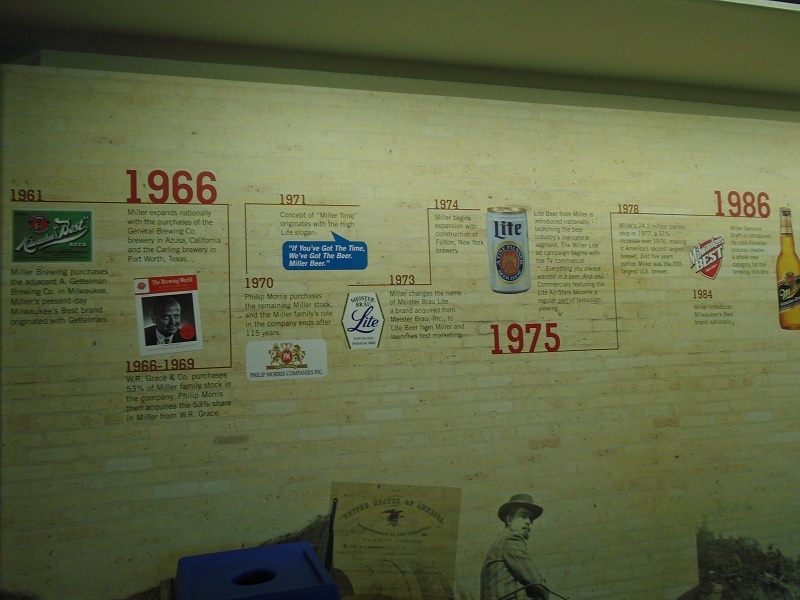 The tour starts in the lobby, where there is a history of the brewery on the wall, some artifacts, and the gift shop. 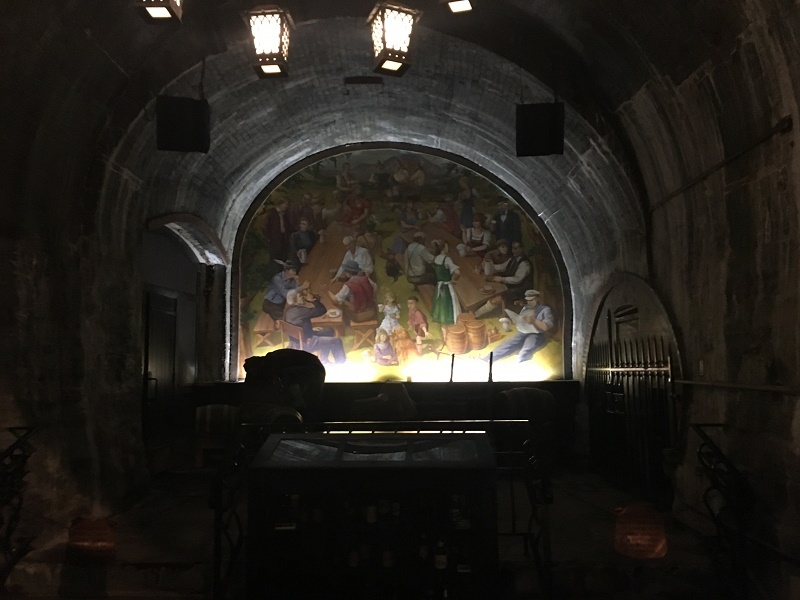 The tour is every half hour, and you start by watching a movie discussing this history of the brewery. 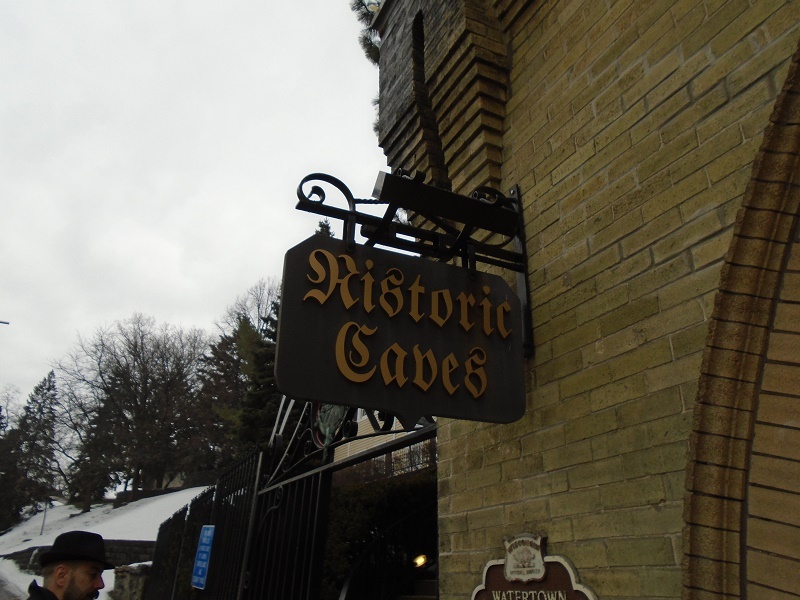 You then head down to “the caves.” The caves are a set of man made caves dug into the valley. 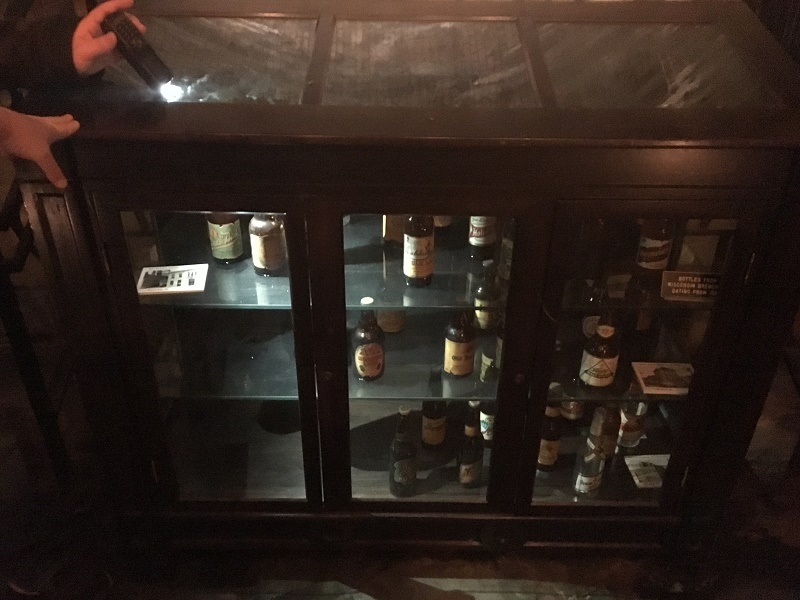 These were used to store beer in a cold environment. 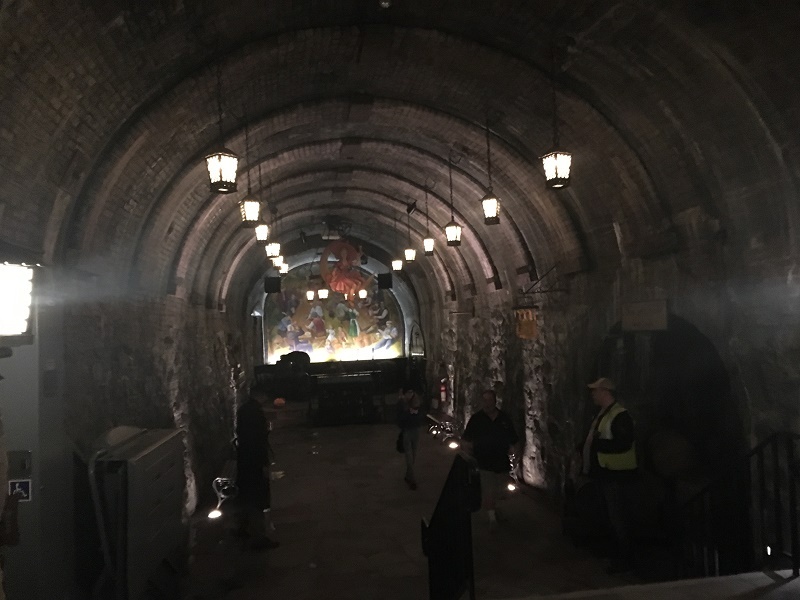 Barrels were stacked into the 600 foot deep caves, and ice was packed around them to keep the beer fresh. 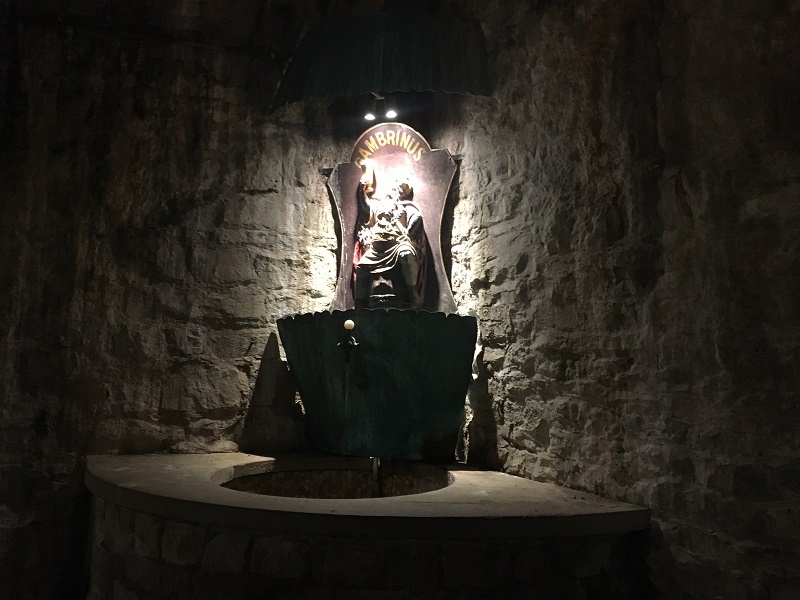 With the advent of pasteurization, the caves were not needed. 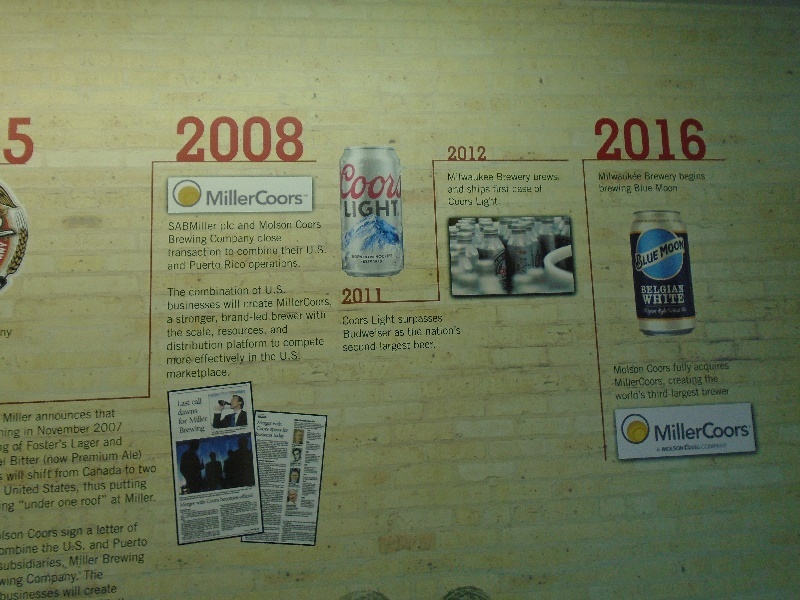 All but one of them were filled in, in order to help the structural integrity of the valley. 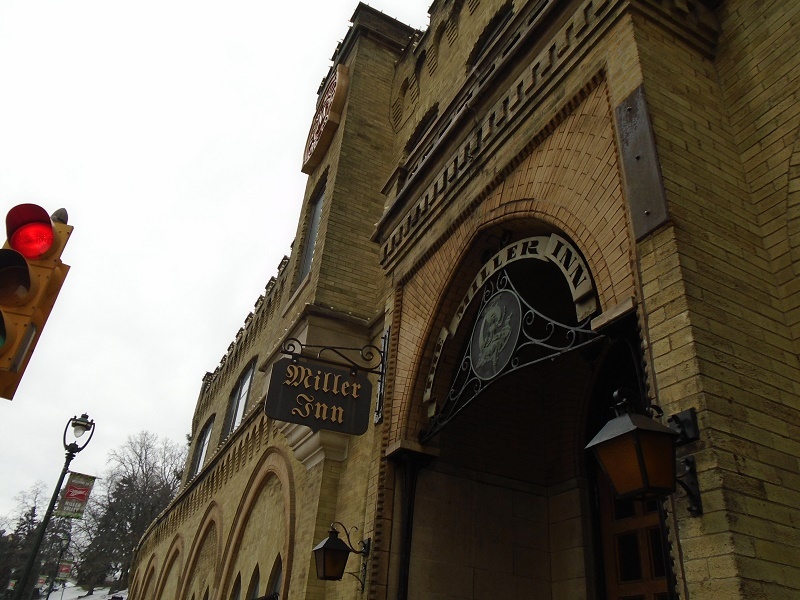 The next stop on the tour is the Miller Inn. 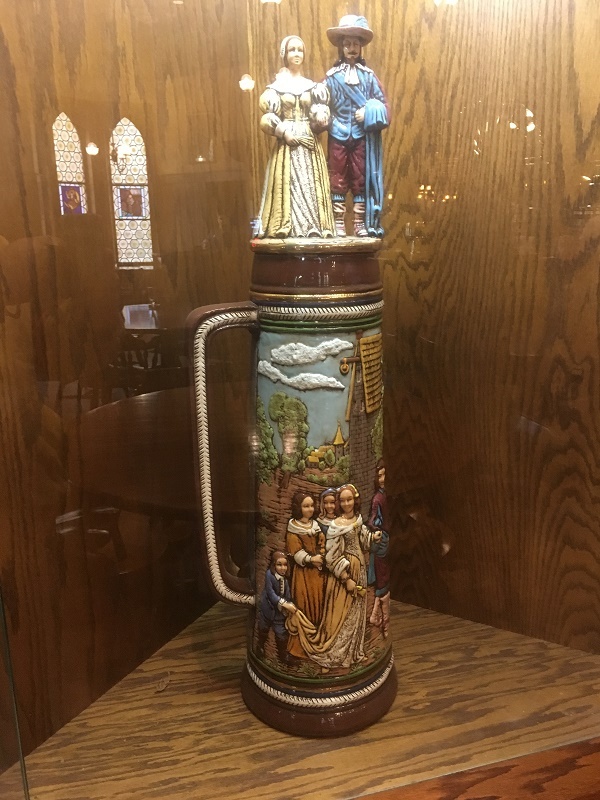 This 1800’s Bavarian inn has a lot of old world charm and a lot of Miller memorabilia. 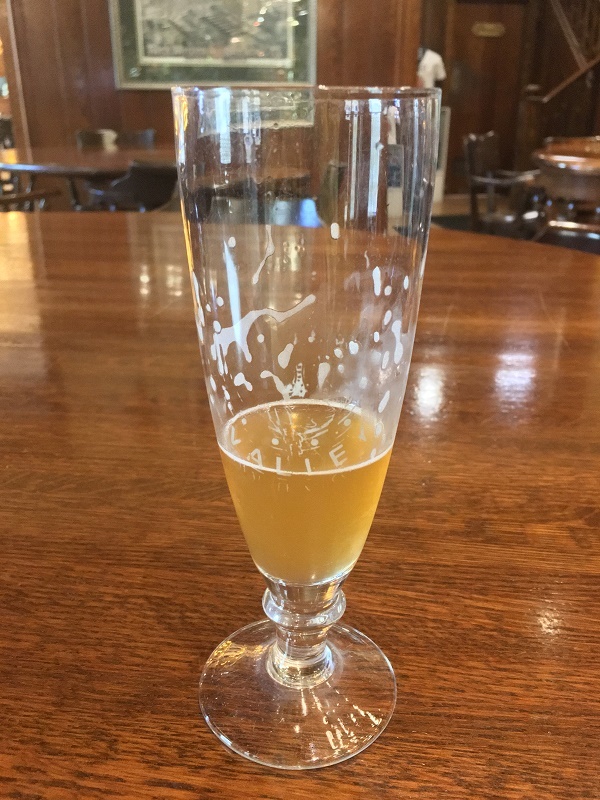 Your stop here includes a sample of beer, I went with Blue Moon Mango Wheat. 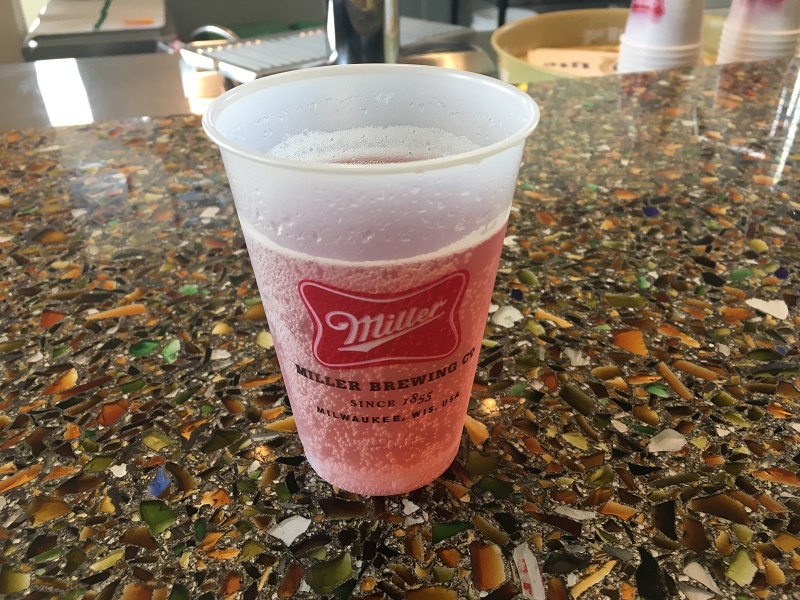 You don’t have to drink, because for those who choose not to drink, or those under 21 can have some soda. 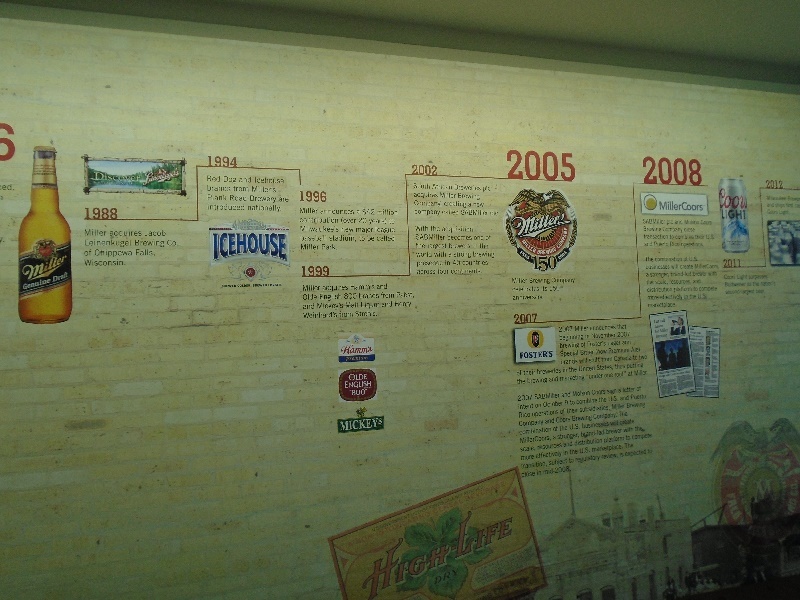 During the first half of the tour, the history of the brewery is the focus. 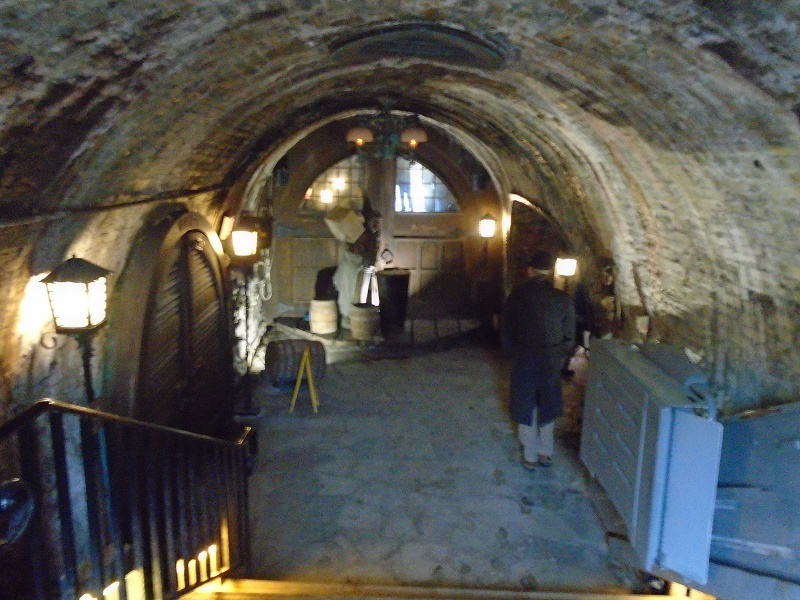 The next half of the tour focuses on the brewing of the beer, You go to the brew house, and you go up to the lauter tun. 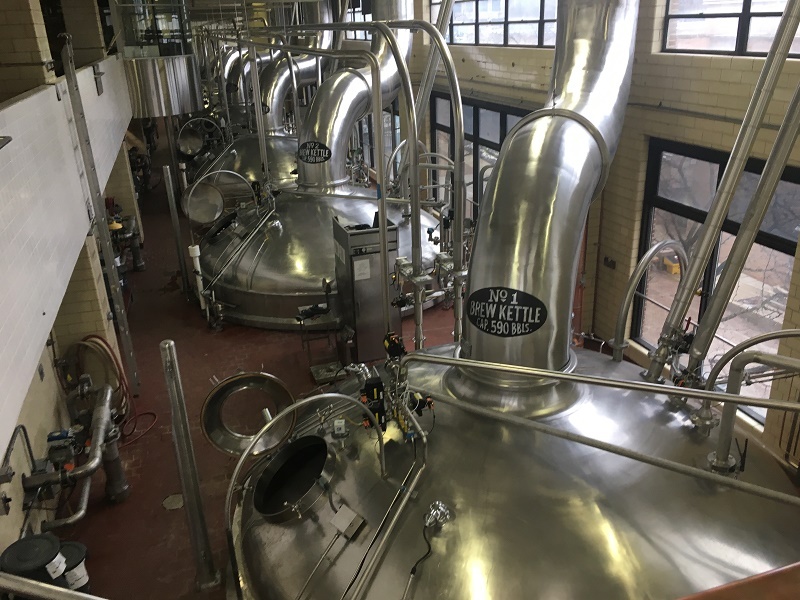 A mash made of barley, water, barley malt syrup, corn syrup, yeast, and hops is transferred to the lauter tun, which converts the mash to wort. 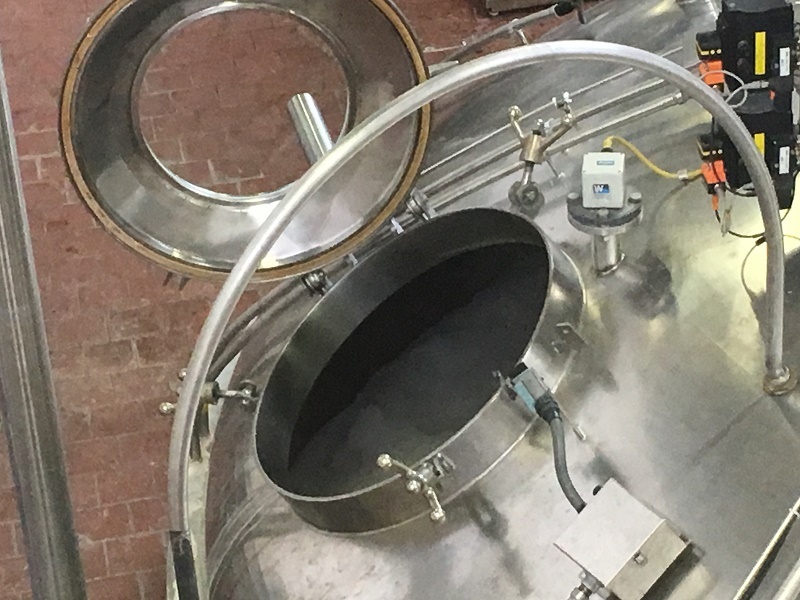 The wort is then transferred to the brew kettle, which separates the liquid from the solid. 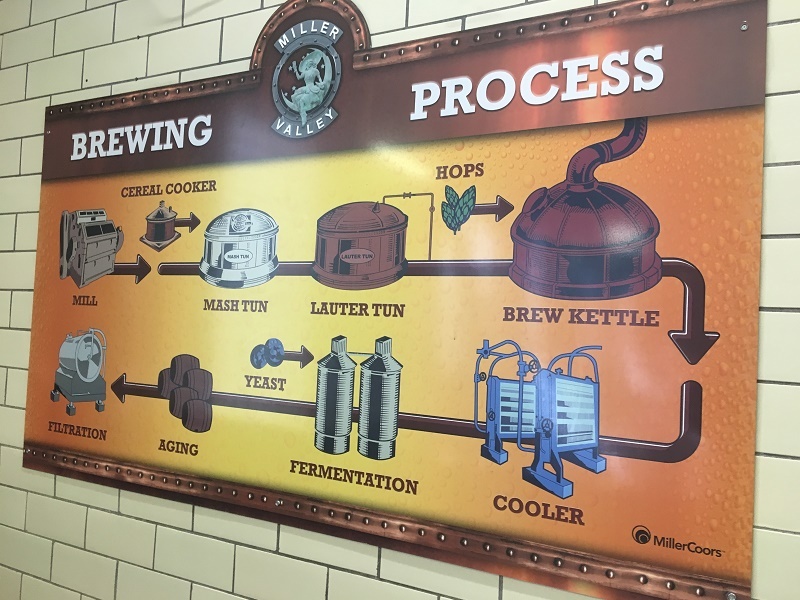 The rest of the brewing process is then diagrammed on the wall near the brew kettle. 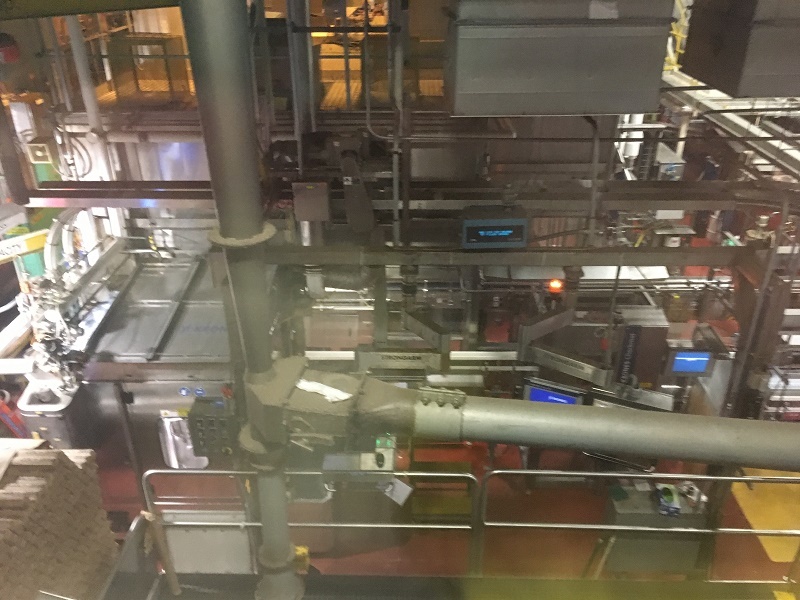 The next stop on the tour is the packaging plant, where you watch a movie about the packaging process and history. 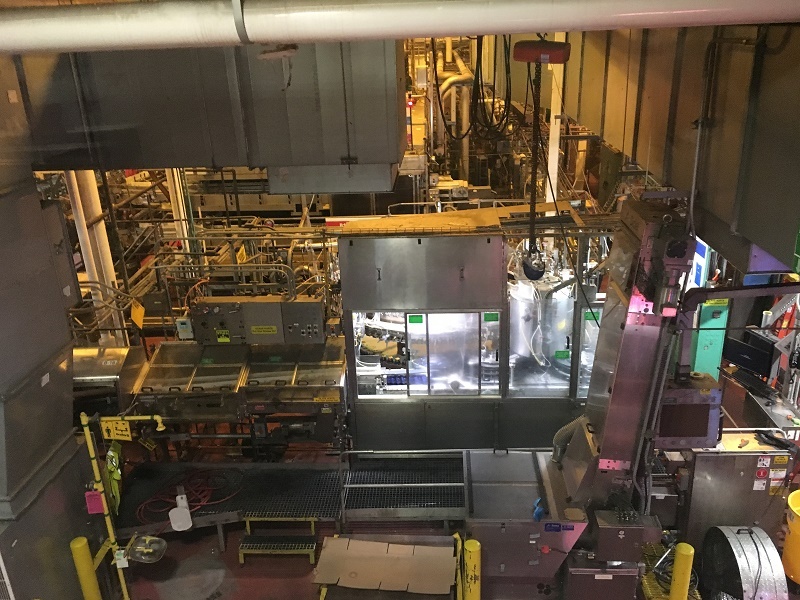 You can see the plant in action from the safety of the balcony. 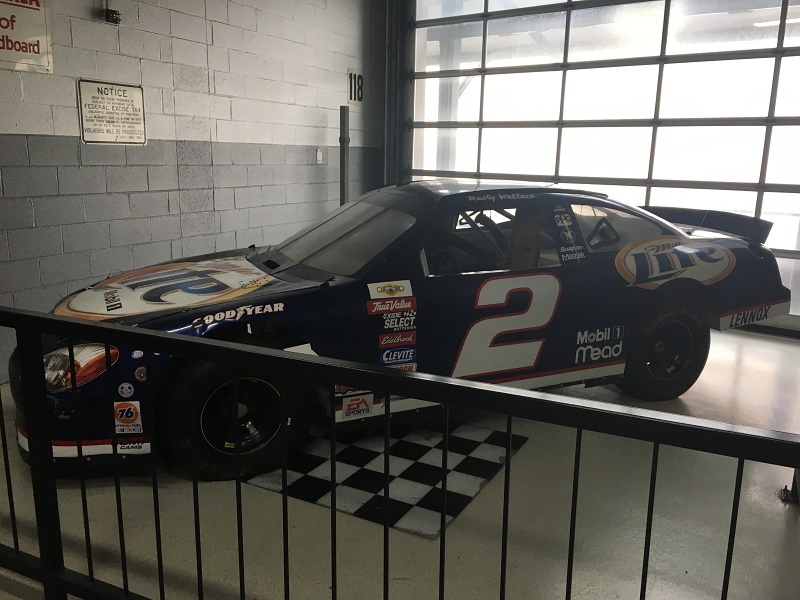 As you exit the top balcony, you approach the storage area, and you see what I consider the highlight of the tour: That is a Rusty Wallace Ford Taurus circa 2001, with the Winston Cup, and Busch Pole decals removed. 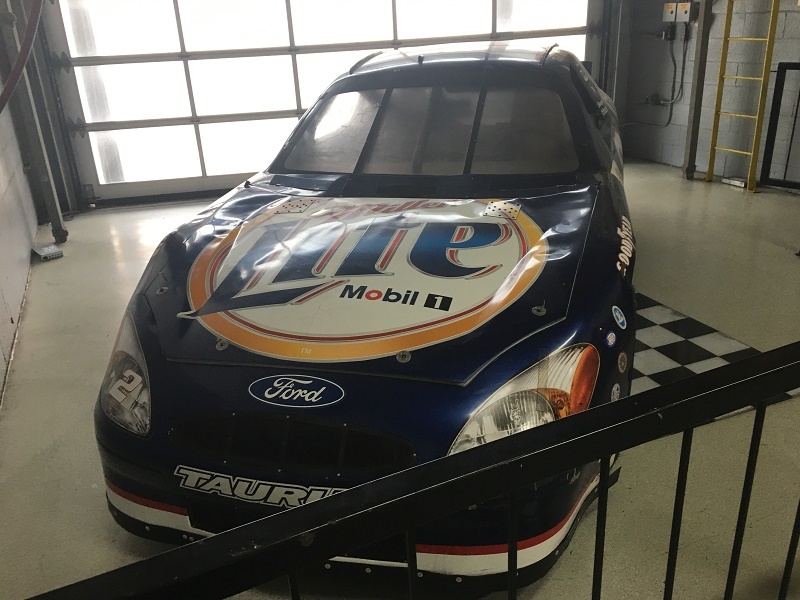 That was a nice surprise. 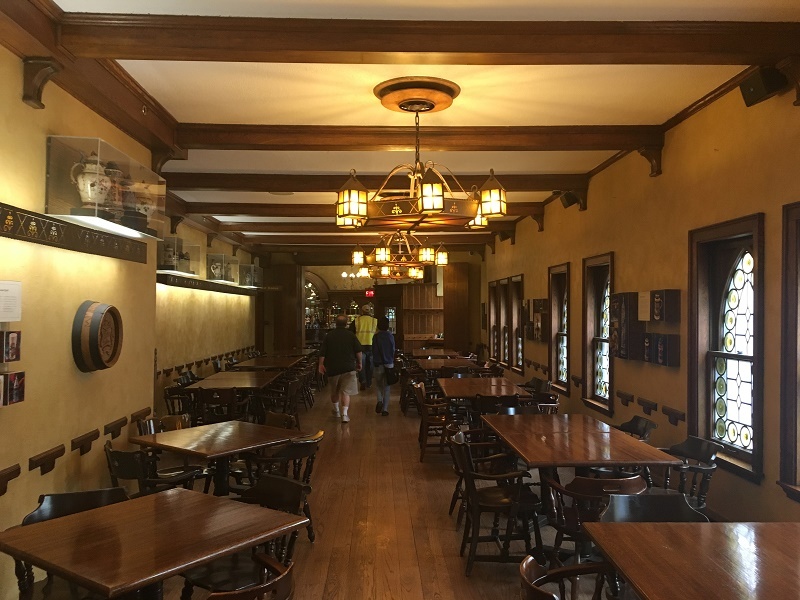 The tour then concludes back at the visitor center, where you get your final sample, and your free pint glass. It’s not long, but it’s fun nonetheless. 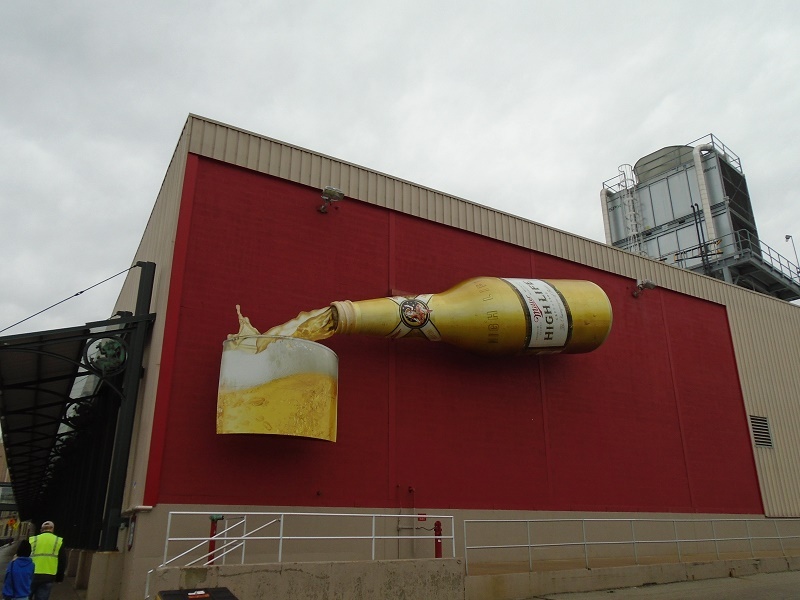 By pure coincidence, I had taken the Budweiser tour one year ago to the day I took the Miller tour. 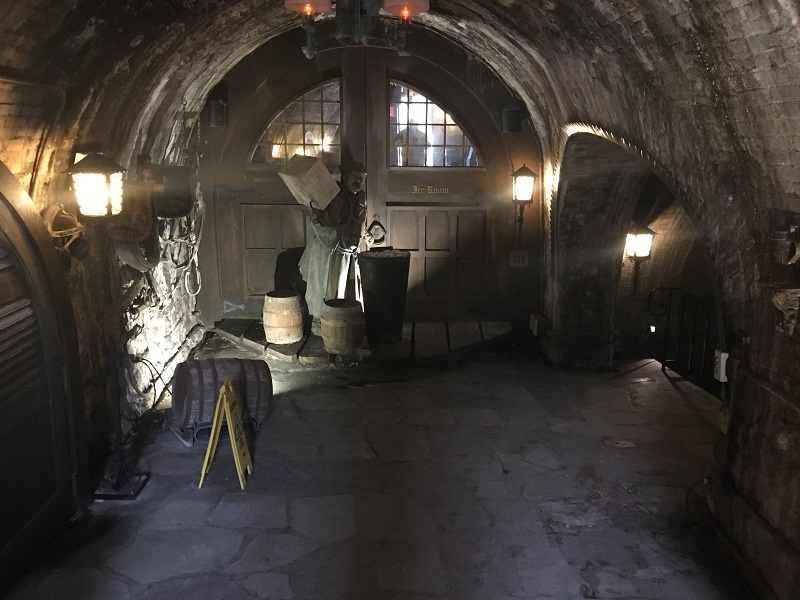 I thought next week, I would compare the two tours.